Leveled, steady, Bradford Cox coaxes, "Come on down from that cloud/And cast your fears aside." That perfect line leads Deerhunter's "Why Hasn't Everything Already Disappeared?" — cradling listeners in choruses that describe imminent oblivion. Deerhunter's latest album is bleak, but in such a way that invokes a sense of calm in an anxious, disparaging world. Fading time, fading individuality, a fading world: these are realities frontman Cox and bandmates — Lockett Pundt, Moses Archuleta, Josh McKay and Javier Morales — have accepted. Consistent with their past work, "Why Hasn't Everything Already Disappeared?" can't be boxed into a single genre, with punk and pop tones among others. As the group's eighth LP, the band is comfortable in its own lack of sonic cohesion. The harpsichord on "Death in Midsummer" provides a Western tinge, yet avoids being nostalgic with the layering of synth. "Detournement" adds deep distorted vocals to a Radiohead-like atmospheric track, sounding futuristic. "What Happens to People?" adds jaunty keyboard to an upbeat track and sounds hopeful when it asks, "What happens to people?/They quit holding on." The unity of the album lies in the theme it draws from introspection and extrospection: Deerhunter sees the world for what it is, but repeatedly asks the question, what can we do with it? A seeming acceptance of disparity is shown through the pairing of dark lyrics with pleasant musical composition. "No One's Sleeping" decries the country's "duress" as "violence has taken hold," yet, if it weren't for Cox's deadpan voice and the subject of the lyrics, you might be fooled into thinking it was a much happier song. The group could be reflecting on times today or an apocalyptic setting as Cox sings out, "No one's sleeping/The village green is nocturnal finally/Follow me to golden pond/There is peace — the great beyond." Deerhunter challenged the texture of their sound and context of their lyrics and produced a complex and pleasing result: a musical journey into their ideas of death and the beyond. 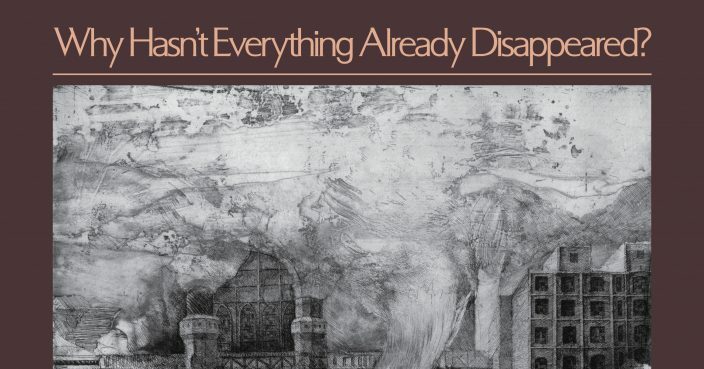 A self-proclaimed sci-fi album about the present, "Why Hasn't Everything Already Disappeared?" proves again Deerhunter can rise to the challenge of reinventing their sound without losing themselves. without disappearing.